If the Yankees win home field advantage for the American League Wild Card Game, it may be the next and last game in Yankee Stadium for the 2018 season. It may also be Brett Gardner’s last game in pinstripes. He deserves a goodbye as one of the best outfielders in Yankee history. Any Yankee fan alive in 2001 remembers another classic Yankee send off. Late in Game 5 of the 2001 World Series, fans said goodbye to Paul O’Neill. The emotional moment was well deserved. O’Neill was an iconic member of the greatest dynasty in modern baseball history. He was a very good player in his eight seasons with the Yankees. Brett Gardner deserves the same goodbye. If the Yankees do not pick up his $12 million option for the 2019 season, he will end his career as one of the best outfielders in Yankee history. *Aside: Damn, Ricky Henderson was good. I wish I was around to watch him own the American League. It doesn’t feel like it, but Brett Gardner has had a better Yankee career than a lot of Yankee greats, including Bobby Murcer, Paul O’Neill, and Dave Winfield. He’s been better on a per-game basis than Bernie Williams and Roy White. At his peak, Gardner stole 45+ bases per season, was one of the game’s best defensive outfielders, and was worth more than 5 wins per season (7.4 wins in 2010 if you use bWAR). As Gardner aged, his consistent hitting and great defense contributed a consistent 3 wins per year to the Yankees. While those Yankee teams often missed the playoffs or disappointed, Brett Gardner is one of the biggest reasons why they never had a losing season. Even as age diminished his offensive performance in 2018, Gardner’s defense and baserunning have turned in a 2-3 win performance. Gardner feels different than these players. Yankee fans, including myself, haven’t treated Gardner like the 9th best outfielder in Yankee history. Part of it is timing. Unlike O’Neill, Gardner didn’t get to spend his career with peak Derek Jeter, Mariano Rivera, Jorge Posada, Bernie Williams, and Andy Pettitte. The Gardner-era Yankees were humbled by baseball’s new dynasty-thwarting economics, and a declining Yankee team. Gardner won one World Series, but I struggle to remember a specific Brett Gardner postseason heroic moment. However, players like Roy White and Bobby Murcer have similar postseason records. Both have their deserved spot in Yankee history, even if they weren’t quite as good as Brett Gardner. Rather, I think there are two reasons why Gardner was underrated. First, he came out of nowhere. Brett Gardner was never considered a top minor league prospect. A walk-on at the College of Charleston, he was always regarded as a potential MLB bench player. It took the Yankees nearly two years to realize that they had a 5-win player despite his excellent Triple-A record. Unlike Gleyber Torres, Aaron Judge, Gary Sanchez, and other top Yankee prospects, there was no Brett Gardner hype. The excitement was all retrospective. Second, Gardner’s contributions are quieter than most top Yankee outfielders. He has been one of the most valuable baserunners and defensive players of the past decade. When he was first called up, even many sabermetrically-inclined baseball fans distrusted defensive metrics. I recall fierce debates claiming that a left fielder like Brett Gardner could not possibly be worth 2-3 wins on defense. Today, these debates are much less fierce, and we appreciate defensive value for what it is. 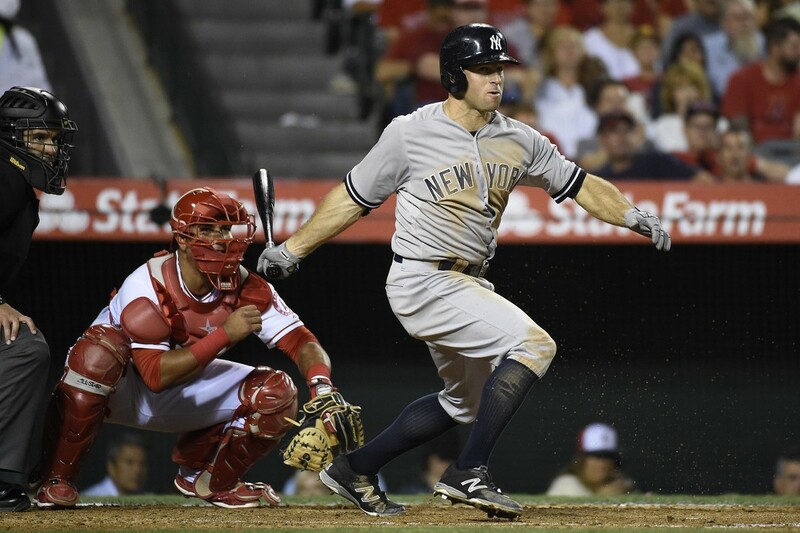 However, the result was that we don’t remember the experience of Brett Gardner, elite outfielder. I won’t be at the wild-card game. If I were, I would chant Brett Gardner’s name, and ask for one last curtain call. We’ll miss him.